Each semester you can complete unit evaluations to give us constructive and anonymous feedback about your course curricula, learning and teaching. Share your feedback about your units. Towards the end of each semester the University asks all students to complete unit evaluations about their course. This is your opportunity to provide anonymous feedback about the curriculum, teaching and assessment for each of your units. This helps us to know what works well and what we could improve. Evaluate your units. Please provide constructive comments. Please provide constructive feedback about your units. Considered comments and ideas from students are fed into University strategy planning, and help to make real changes that benefit future students following in your footsteps. By reflecting on your own learning and experience and evaluating each unit, you will also build your own understanding of your learning style and response to various types of learning setting. When giving feedback to academic staff, think about your own experiences of receiving feedback on your own work. Reflect on your full experience, and provide constructive suggestions for future change. Have you heard of unconscious bias? There can be a tendency to provide higher unit evaluation scores for academics that might fit preconceptions of what an academic is like. It is important that you explore any unconscious tendency to stereotype. It is expected that all comments provided during the unit evaluation process will conform to the University’s Dignity and Respect Policy in terms of language and content. Within eight weeks of the close of evaluations, your Director of Study will provide comments on the feedback that you provided. This gives you the opportunity to see what plans are in place for developing your unit in response to the suggestions that you've made. Your responses will be collated and anonymised. The University follows strict guidelines to ensure that all feedback data is stored anonymously and securely, in accordance with the Data Protection Act. 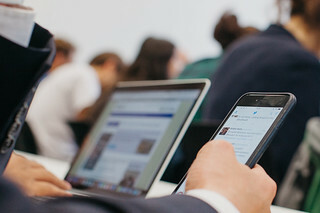 Anonymised data is shared with Staff Student Liaison Committees (SSLCs), teaching staff, Directors of Studies, academic departments, the University's Learning & Teaching Quality Commitee and other members of staff to help the University to continually develop and enhance learning and teaching. Annual monitoring of units for all taught programmes of study is detailed in the University's Code of Practice QA51. In addition to unit evaluations, there are other opportunities for students to give feedback and become involved in making changes to the student experience.